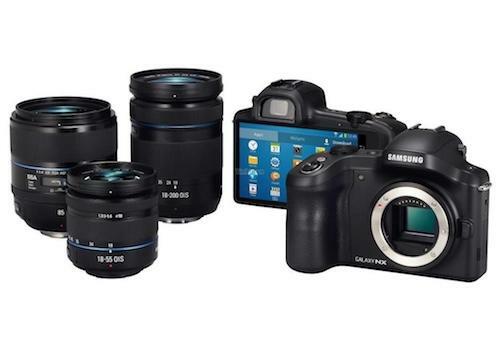 Samsung is prepping a Galaxy NX mirrorless camera with Android that could be announced as early as next week. 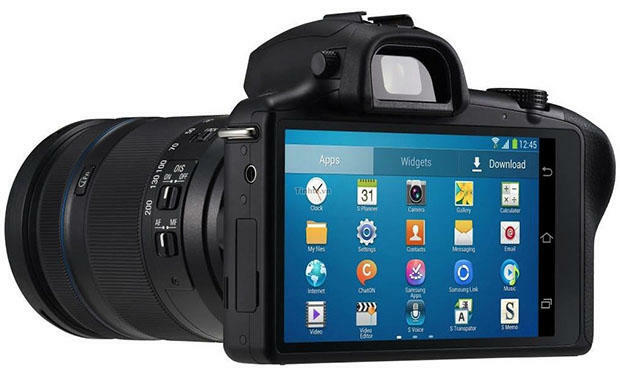 According to details and photos acquired by Vietnamese site tinhte, the Korean company is expanding beyond the point-and-shoot capabilities of the Galaxy Camera and making an even more powerful shooter. 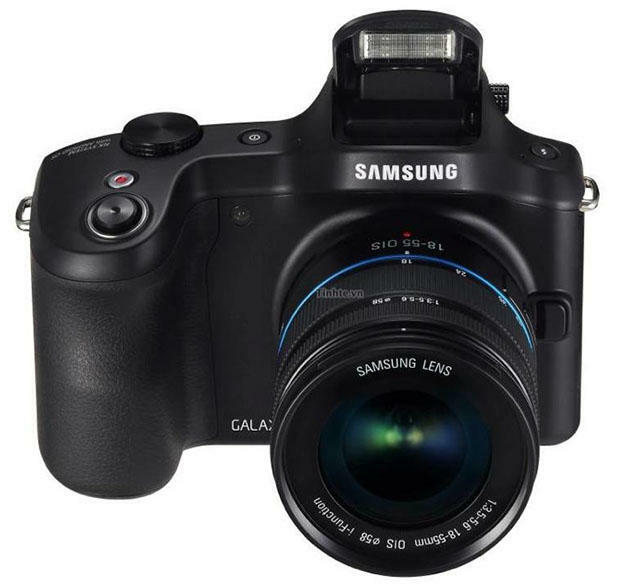 If the Galaxy S4 Zoom wasn’t your thing, perhaps this new mirrorless will pique your interest. As you can see in the photos, the device will have a huge LCD display (likely 4.3-inches) and feature Jelly Bean with TouchWiz overlaid. 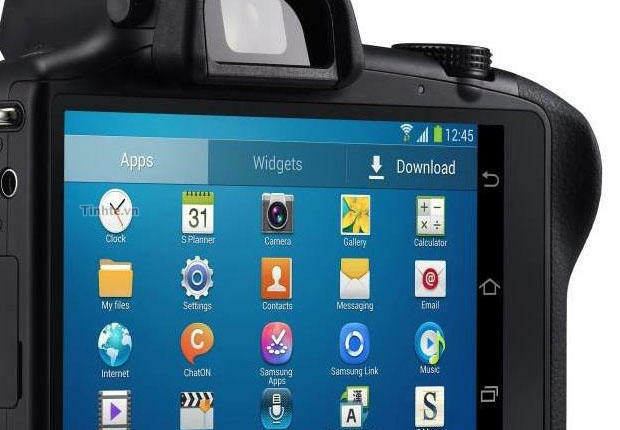 Just like the Galaxy Camera, the interface is entirely like you’d find on a typical Android handset, with hardly any physical buttons or dials for a predominantly touch experience. There’s a dial on the top, and what looks like a flash button and shutter release right next to what looks like a video recording button. Unverified specs coupled with the leak say the camera will come equipped with an Exynos quad-core processor, 2GB of RAM, 16GB onboard storage, max ISO of 25600, Full HD video and a 20.3-megapixel APS-C sensor. That means users will (should) get results that far outmatch what the Galaxy Camera was capable of. Oh, the beloved Galaxy Camera; one of the more exciting experiments we’ve seen in the last few years. Since the camera is slotting into the NX line, it should be compatible with other NX lenses. This isn’t so much a phone but a mirrorless with a camera welded to the back. That kind of power in what should be a solid shooter has potential to be a truly wonderful experience. Except it’s rumored to cost around $1,300, which isn’t really in the impulse buy territory for many consumers. An announcement could come on June 20, when Samsung is allegedly going to introduce other big-name devices. 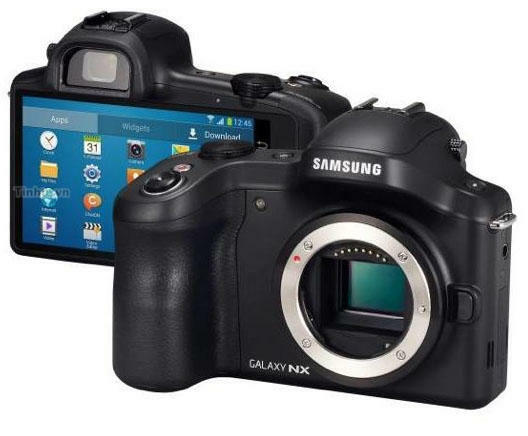 So stay tuned to see if this new Galaxy NX actually becomes a reality.